• Full metal housing in robust, easy-to-clean stainless steel AISI 304, satin finished, all corners fully welded. • Holds approx. 500 paper towels. • Inspection slot to indicate refill level. • Housing door swings down for refilling. 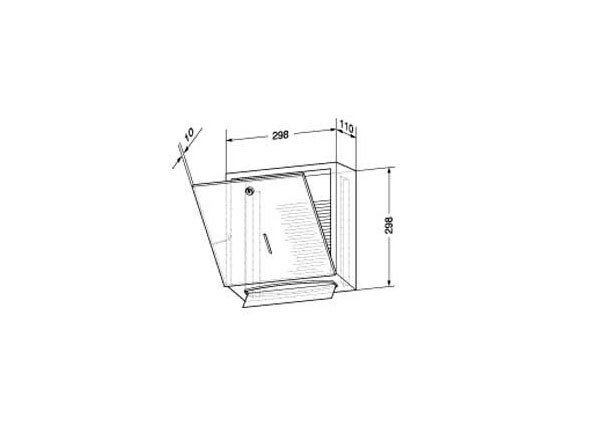 • Dispenser lockable with cylinder lock. • Easy to clean due to optimum accessibility. • Simple mounting: line up with tiles and fasten with 4 screws. • Also available upon request in a polished finish or with other surfaces. 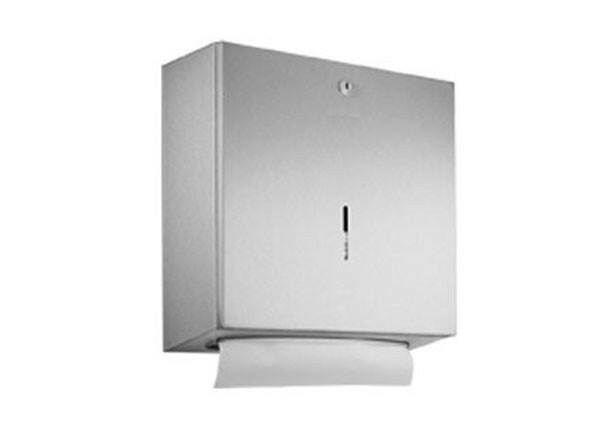 Paper towel dispenser in stainless steel AISI 304, for surface mounting, satin finished, lockable with cylinder lock.